We can also supply other similar items as per your requirements. With skilled employees and vast experience we can also offer to undertake jobs & maintenance in aluminum fabrication, plumbing, electrical, carpentry and painting. The achievement of activate is the ability to provide highest quality products and services on time. The products and services we supply are proven dependable and backed by the best warranties in the industry. We represent and deal with several companies, manufacturers and stockiest on a regional & worldwide basis and with our support tram in the Middle East we are in a position to offer you competitive prices and quick deliveries with the highest levels of quality, safety and technical expertise. We can make faster services to our valuable customers even if certain items are not available in Doha market. To provide the best customer experience in the building supply industry. 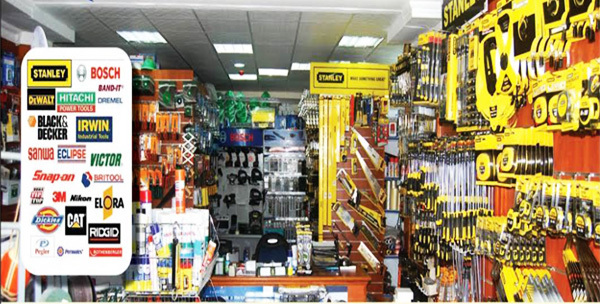 To be the leading supplier of hand tools, power tools, safety products and building materials in Qatar. We pledge to meet the needs of our customers. We conduct our business in a responsible, consistet and ethical manner in providing service to our communities. We value our staff as the key to our success and provide a climate of shared commitment, openness, and respect. We provide training and opportunity for career growth with mutually agreed upon objectives.